The morning dawned with plenty of rain and a forecast of high winds, but the weather cleared around noon and the races were on! 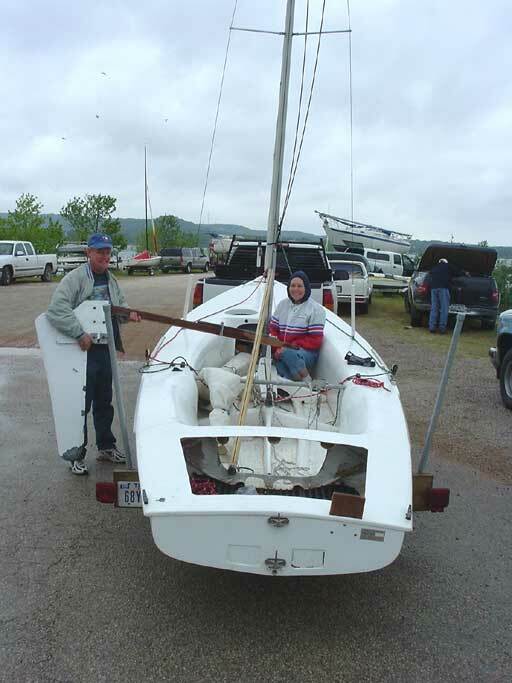 Sonny and Sue Buck from Midland brought the Flying Dutchman they are in the process of restoring. The low freeboard was handy when Sue fell in after the races! Sonny holds the handcrafted rudder that came with his Flying Dutchman. In his first race ever, the rudder snapped snapped in two. Bill loaned him his extra blade and Sonny was back on Sunday to place 5th in the Portsmouth A fleet. Rey Garza's instant fiberglass repair on his Mutineer, it was blown off the trailer before the races, he won 2nd in the Portsmouth B fleet. 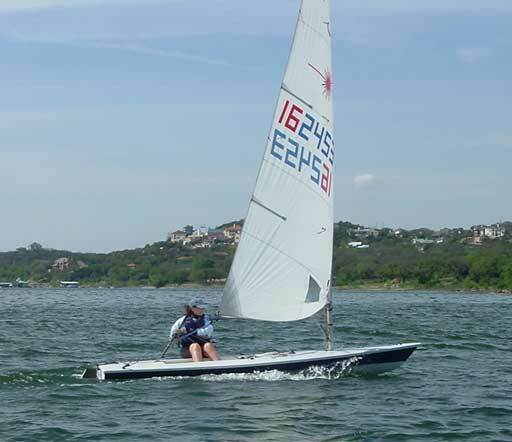 Jennifer Loehlin won 3rd place in the Portsmouth B fleet in her Harpoon 5.2. Was it windy? 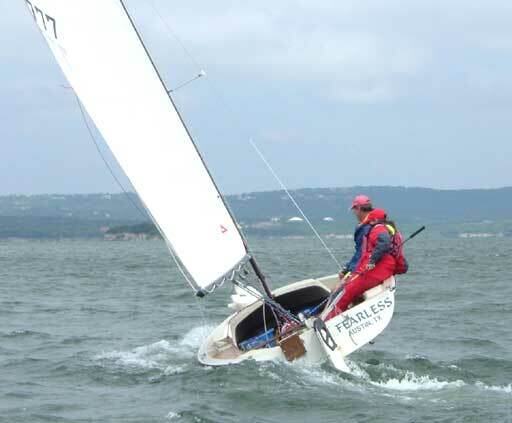 In this pic before the races you can see her jib is laying on the bow, but she flew it during the races! 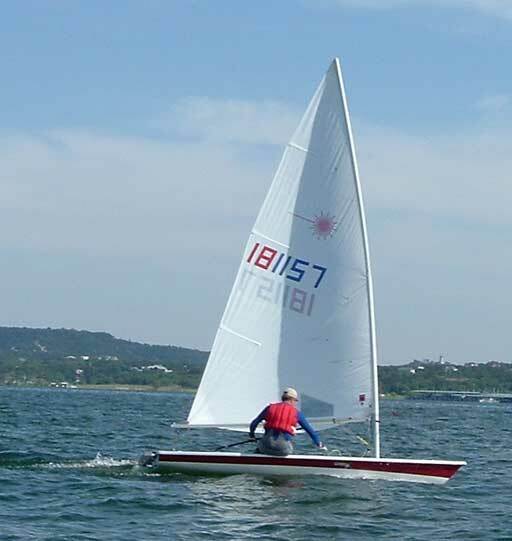 David Hoye from the Rush Creek Yacht Club took 5th in the Sunfish Class. 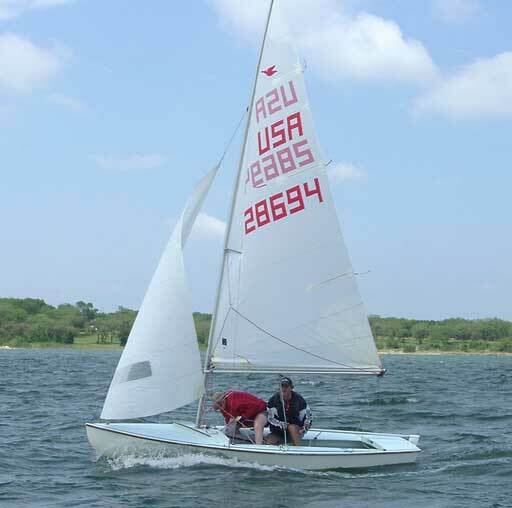 Ken Culver took 3rd in the Snipe fleet. Scot Fish had some bad luck in his Flying Scot but with four bullets was still 3rd overall in the Portsmouth A fleet. 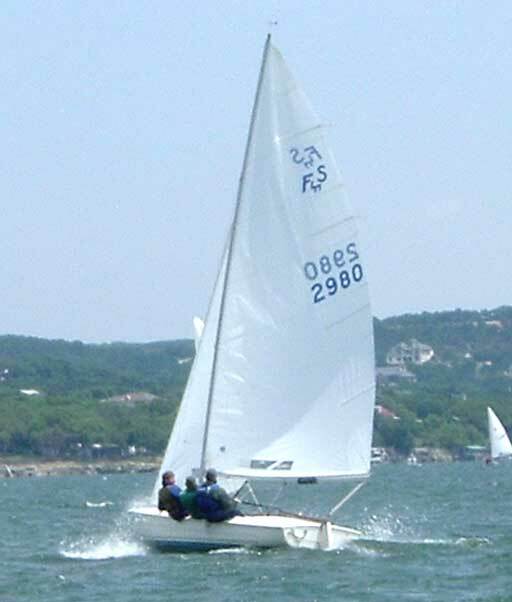 Eric Little took 2nd in his Vanguard 15 and David Luckenbach in his 1965 Flying Scot lucked out to take the first place trophy with four 2nds and two firsts. 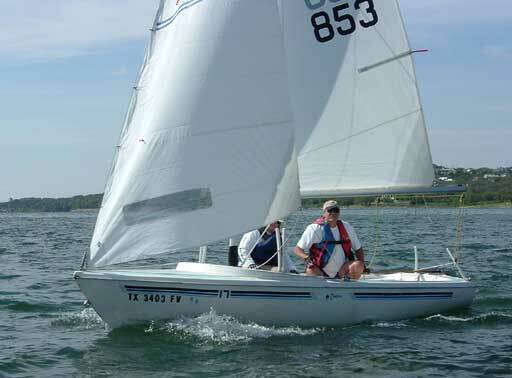 Bill Gillilan took 4th in his Dolphin 17 in the Portsmouth B fleet. 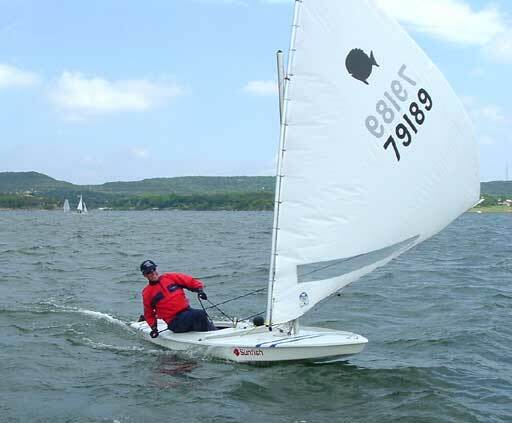 Mike Mashl was 5th in the Laser fleet.